Native Americans were an important focus of illustration in North American travel accounts. Any traveler-artist on the fringes of the frontier was likely to consider Indians an exotic and interesting theme for illustration, although most of the images shown here were created by artists with some serious anthropological motives. 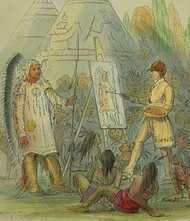 Artists such as George Catlin or Paul Kane traveled solely for the purpose of depicting Native Americans, believing they were witnesses to a civilization nearing extinction. Others, such as Walter McClintock, set out to live among the Indians and ended up compiling an impressive photographic archive. Unless otherwise noted the author of the work is also the artist of the illustrated plate. James Cook and James King. A Voyage to the Pacific Ocean. Undertaken by the Command of His Majesty, for Making Discoveries in the Northern Hemisphere.... London, 1785. Beginning with the expeditions of Capt. James Cook, the major voyages of Pacific exploration in the late 18th century brought to European attention a series of cultures which posed to the Enlightenment major questions about the nature of society and "civilization." Explorers began to seek to understand the peoples they encountered rather than dismissing them as dangerous "others". This questing spirit is reflected in Webber's view of a dwelling in the Pacific Northwest. Although the scene is exotic, with totems looming, its is also cosily domestic, a picture of an extended family at home that expresses a universal theme. 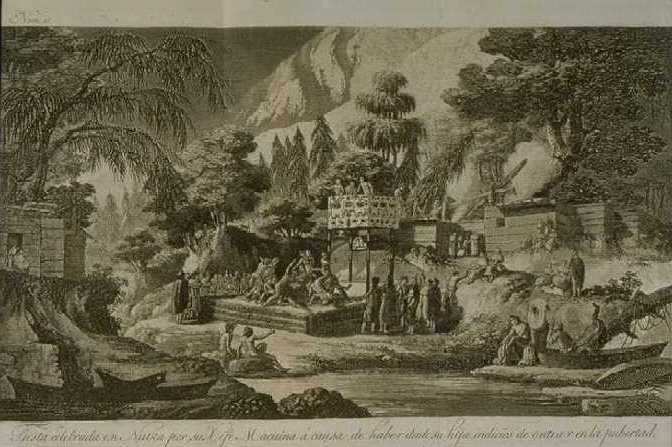 The voyages of Cook are a landmark in the illustration of travel narratives. Extensively illustrated by expert artists accompanying the expeditions, they set a new standard in the genre. Jose Espinosa y Tello. Relacion del Viage Hecho por las Goletas Sutil y Mexicana en el ano de 1792 Para Reconocer el Estrecho de Fuca. Madrid, 1802. 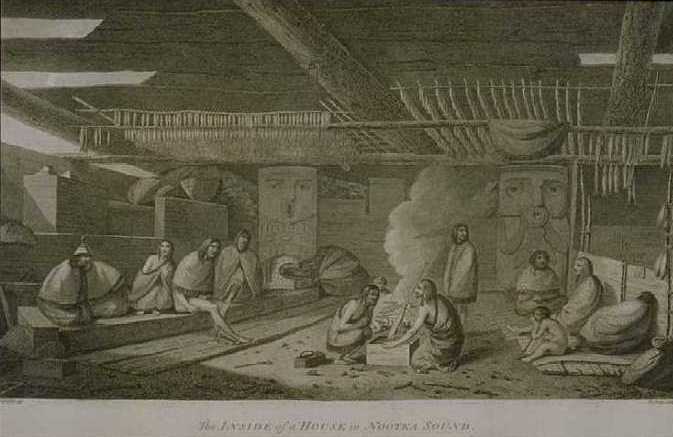 This plate is part of a series showing Indian life around Nootka Sound in 1792, made by the artist of the Spanish Malaspina expedition, Jose Cardero. 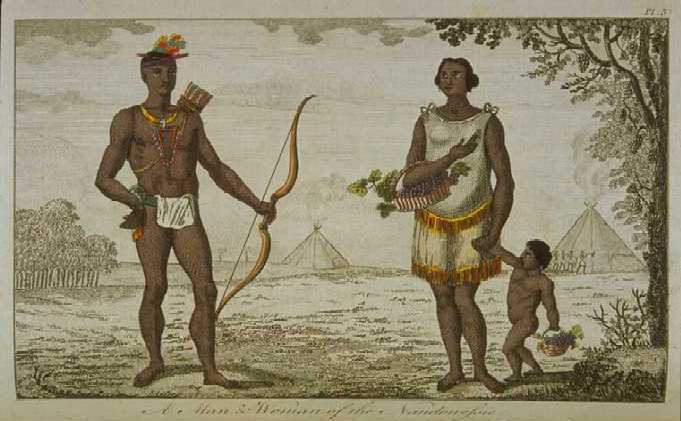 In the tradition of the narrative of Cook's third voyage, published eight years previously, Cardero produced portraits of individual natives such as the chief Macuina (whose portrait was taken, ultimately, by more Europeans artists than any native American up to his time) and plates depicting local customs. Shown here is his most ambitious scene, the festival celebrating the coming of age of Macuina's daughter. Ludovik Choris. Voyage Pittoresque Autour du Monde.... Paris, 1822. 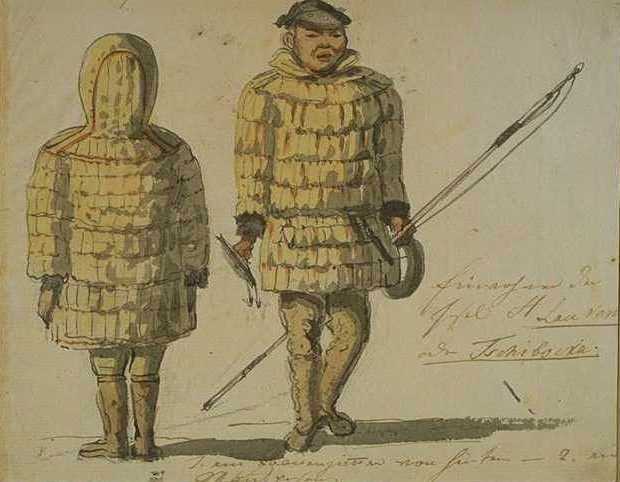 Ludovik Choris was the artist for the Russian expedition which explored the North Pacific in 1815-1818 under the command of Otto von Kotzebue. As with other Russian voyages of the era, the officers and professional staff were largely German and French, and the primary reports of the voyage appeared in those languages and countries. Choris presented a medley of information in his atlas, ranging from coastal profiles and natural history specimens to images of Indians and topographical scenes. 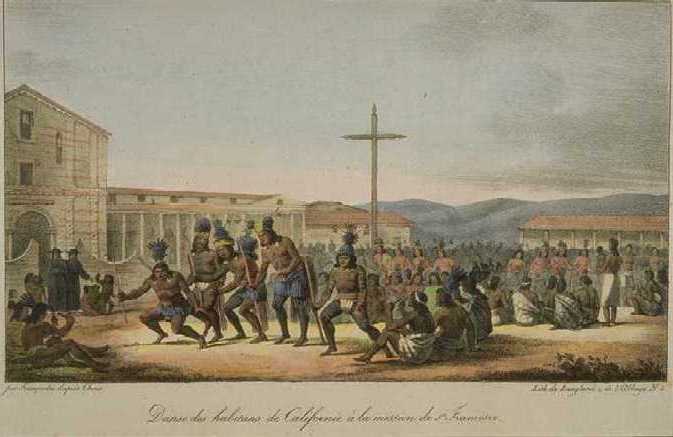 This plate of Mission Indians staging a dance in San Francisco illustrates the mixed acculturation of Mexican California: native dances are performed beneath a cross as missionary priests look on. In 1815, at the age of 20, Ludovik Choris joined Otto von Kotzebue's naval expedition. Over the next three years, the expedition explored the Pacific extensively and completed Russia's first circumnavigation devoted to scientific purposes. Choris was a prolific artist. 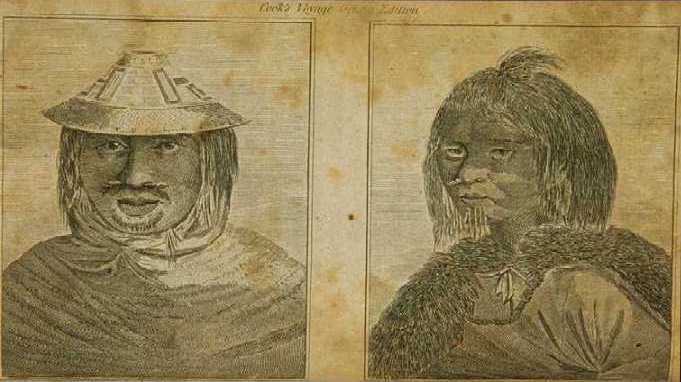 In addition to the plates he provided for Kotzebue's official reports, he published two heavily illustrated accounts of his own. He was especially interested in documenting the material cultures and customs of the indigenous people he encountered. Yale holds forty-four of his original watercolors which depict various aspects of Aleutian life. James Cook and James King. A Voyage to the Pacific Ocean; for Making Discoveries in the Northern Hemisphere.... New York, 1796. The first American edition of Cook's third voyage, published in New York in 1796, reveals much about the limited ability of publishers in the United States to produce illustrated travels (or illustrated books of any sort). The three large quarto text volumes and folio atlas of engravings of the London, 1784 edition appear in four small octavo volumes, with the plates much reduced and crudely recut. In the example shown, two of Webber's plates from the folio atlas are reduced to a single small octavo leaf. Nonetheless, with 47 plates, the book was the most extensively illustrated travel narrative published in the United States before the 1820's. Jonathan Carver. Travels through the Interior Parts of North America, in the Years 1766, 1767, and 1768.... London, 1781. Carver was the first Englishman to extensively explore the headwaters of the Mississippi and publish a reliable account of the area. His observations have particular weight because his book was widely reprinted in Europe and America; more editions of Carver were published in the United States prior to the Louisiana Purchase than any other geographical work. 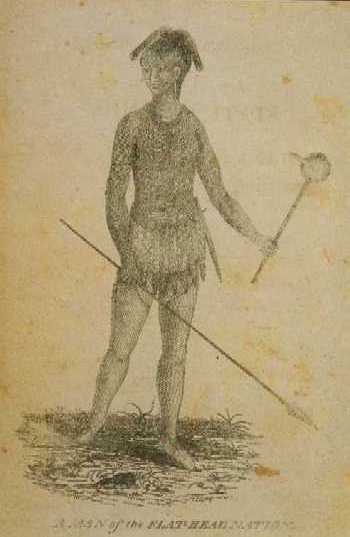 His rather crude plate of the Sioux he encountered in present-day Minnesota presents an idealized European notion of a native American family. Jervis Cutler. A Topographical Description of the State of Ohio, Indiana Territory, and Louisiana. Comprehending the Ohio and Mississippi Rivers, and their Principal Tributary Streams.... Boston, 1812. Travel narratives produced in the United States were slow to include illustrations. The great voyages, expensive to produce and own, were entirely European products; it was not until the 1840's that anything equivalent was attempted across the Atlantic. Early in the century any visual image was exceptional in an American book. The crude woodcuts in this work are at least efforts to provide accurate illustrations of the Native Americans discussed in the text; they are all the more interesting given the total failure of Lewis and Clark to provide graphic images in their work published two years later.